Below you will find our upcoming workshops and events. 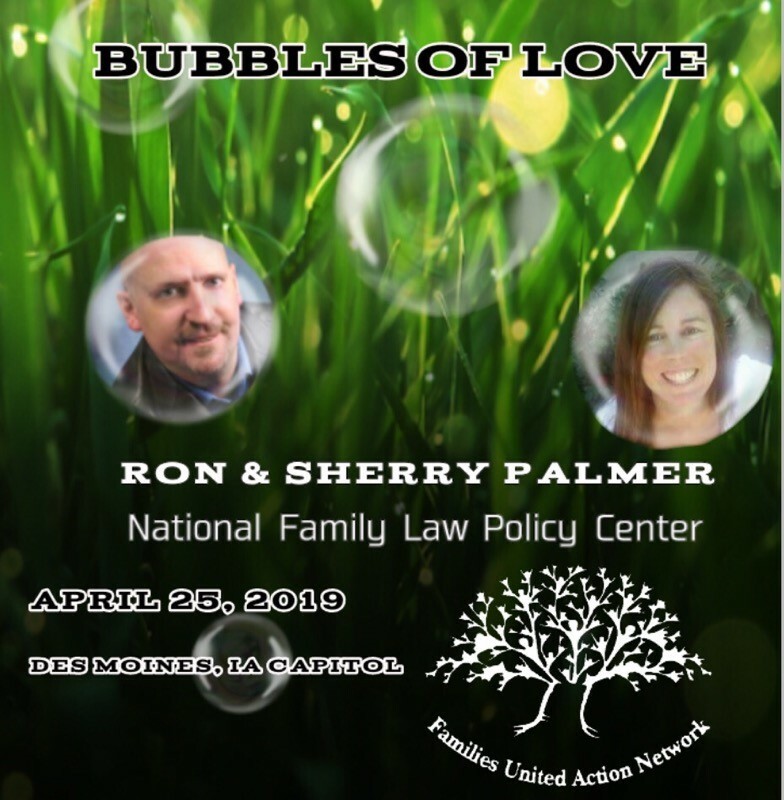 Bubbles of love events are held throughout the world on this day to recognize and educate individuals and decision makers on parental alienation. Ron and Sherry Palmer are the authors of the #1 parental rights book in family law to date. Learn how to truly keep children out of the middle. Learn about policies and the impact they have on Iowa families. Learn how the constitution can help you prevent court-induced parental alienation™, and strategies for improving enforcement of court orders including interference with child custody. Learn what language in the law is most protective for children and parents. 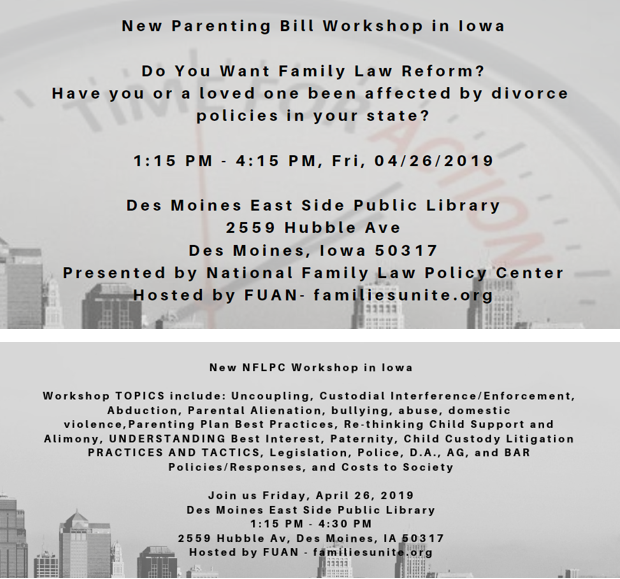 This workshop covers legal abuse and bullying, children in the middle, parental alienation, uncoupling, best practices in parenting plans, effects on business and society, and legislative language to address family law unconstitutional practices. This is a 3-hour workshop and is customized to include Iowa issues. You can find our archived workshops by clicking here and archived events by clicking here.